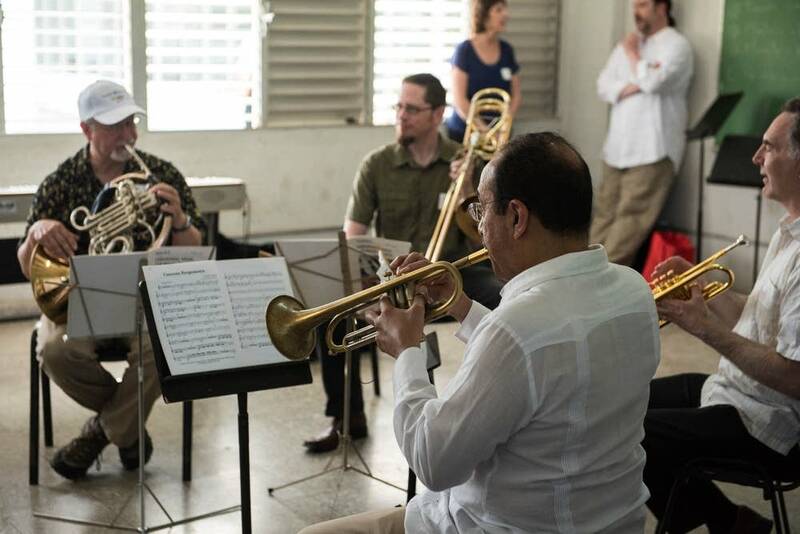 This week, the Minnesota Orchestra made history as the first North American orchestra to perform in Cuba since President Obama announced plans to normalize relations between the two countries. Euan Kerr, MPR News' arts reporter, called into the studio from Havana, where he is reporting on the historic trip. He accompanied the orchestra on a trip to a Cuban music school, where Minnesota musicians practiced alongside the students. "It was amazing listening to them tell each other stories," said Kerr. "The musicians were showing some of their tricks. ... And the students were telling their stories about what it's like to be a top flight musician here in Cuba, where a lot of the instruments are not very good. They actually produce wonderful music on what one of the musicians told me, frankly, were pretty appalling instruments." The musicians brought supplies for the students, including strings and bow resin, which are difficult to obtain in Cuba.